Our Modern and Stylish keypads allow you to choose from either a led or icon keypad. These small and unobtrusive keypads will complement the decor of any home. Simple ICONS or indicators make it easy to identify the status of your system at all times. Turn entry lights on when you arrive home. Create on and off lighting schedules for a "lived in" look while you're away. Family member can control the system from their bedside, allowing the system to protect them while they sleep. Dynamic Zone Type (DZT) allows you to customise and address special protection requirements like pool areas. All this while you enjoy the convenience and comfort of home control... with unprecedented ease! Vista offers easy, fingertip control of indoor and outdoor household lighting, garage doors and select appliances. 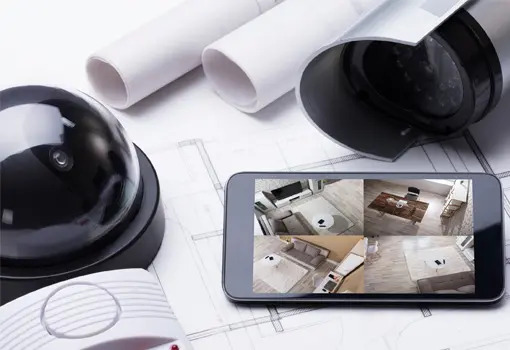 You'll have the peace of mind from knowing that your home and family are safe and secure while enjoying the comforts of home automation of our security system installation. For the peace of mind of having your promises monitored when you are away, Back2base Australia provide a sophisticated monitoring service on your alarm panel. Ask VMC on how you are able to take advantages of this inexpensive service.